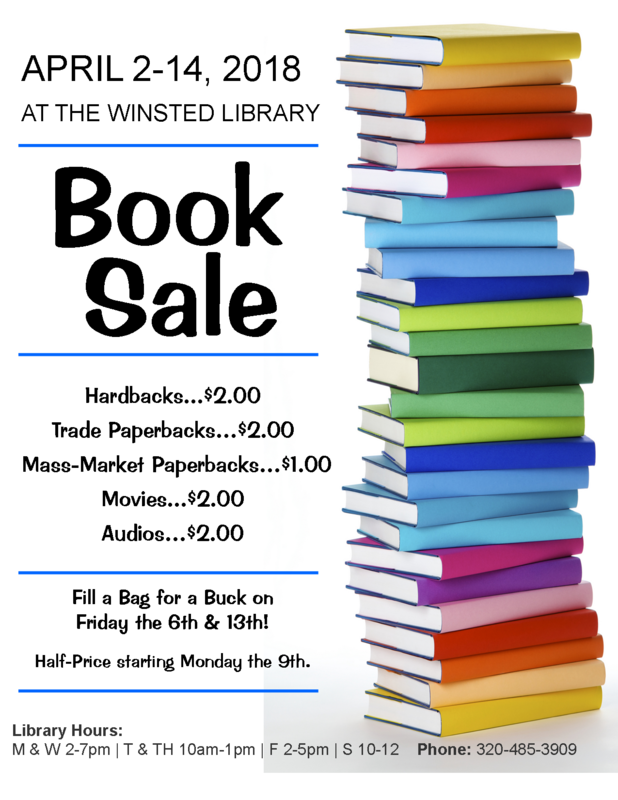 It’s (Still) Book Sale time at the Winsted Library! Since Mother Nature decided we needed ANOTHER couple of snowstorms this winter, we’ve decided to extend this year’s booksale through this upcoming Saturday, April 21st. 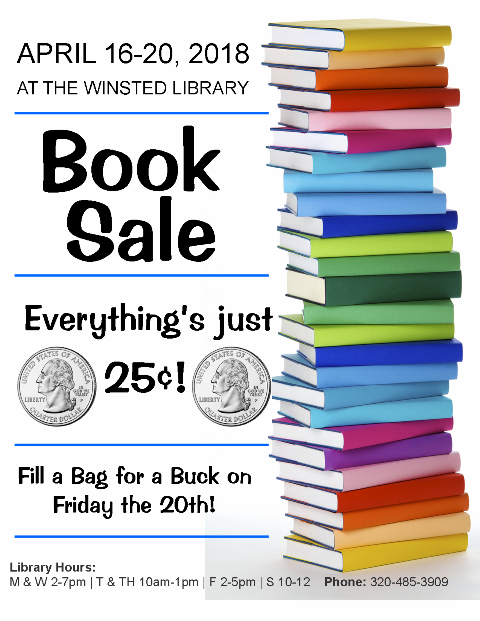 Get a whole bunch of books for 25¢ each, or wait until Friday the 20th and Fill a Bag for just $1! 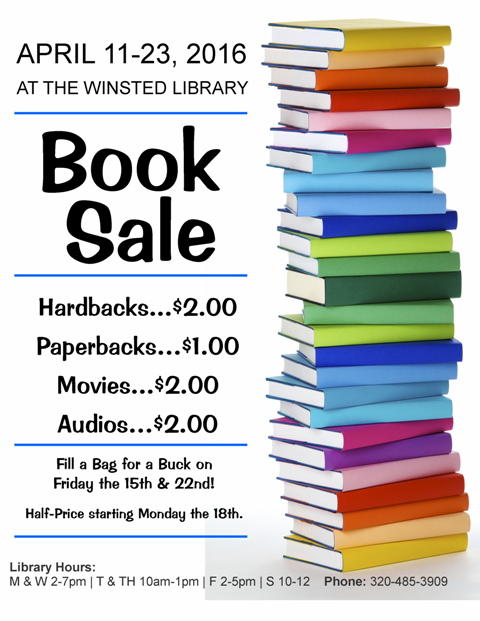 It’s Book Sale time at the Winsted Library! Do you need books for your cabin this summer? Or in case Mother Nature decides we need ANOTHER snowstorm this winter? Either way, we’ve got you covered! Make some room on your shelves, because it’s almost time for our annual Book Sale! 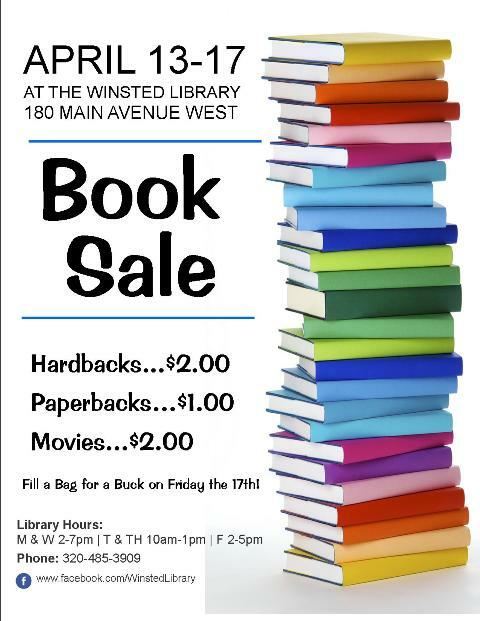 It’s Almost Book Sale Time! Do you need some books for your cabin? Or to stockpile for next winter? Have we got a deal for you!